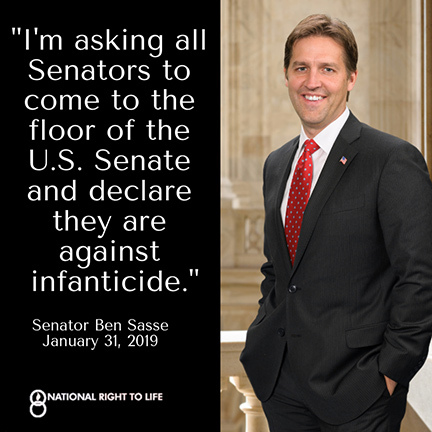 WASHINGTON – The National Right to Life Committee (NRLC) today praised Sen. Ben Sasse (R-Neb.) for taking to the Senate floor to call for passage of the Born-Alive Abortion Survivors Protection Act (S. 130). If enacted, the bill would extend federal legal protection to babies who are born alive during an abortion.